Serving Walla Walla Valley since 1989. At ProSmiles Family Dentistry, we work very hard to make your dental visits positive and comfortable. Our experience and friendly staff take pride in keeping your smile healthy and beautiful. We want to help you maintain your dental health, and assure that every service we provide leaves your teeth looking as good or better than what nature gave you. The products we recommend and use are always the highest quality and incredibly durable. Locally owned and operated, we are sure you will love the small clinic atmosphere, where we know you by name. With 28 years of experience, Dr. Cameron Stewart is a dentist you can trust with your smile. 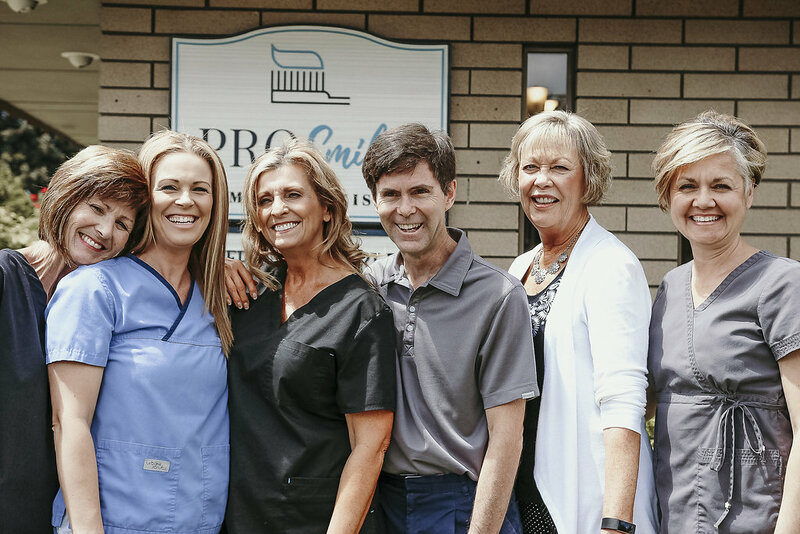 Family dentist, Dr. Stewart, has been serving the Walla Walla Valley since 1989. With over 28 years of experience, he is a dentist you can trust with your smile! We value the feedback from our patients. If you have had an appointment with us we would love to hear from you! Keeping teeth happy and healthy with routine comprehensive exams and dental hygiene. Everything from fillings to implants, we can help restore your smile. We offer services like teeth whitening, veneers, and aesthetic bonding so you can smile confidently!